Everyone has their own personal reasons for getting inked and every tattoo has a specialized meaning to the wearer, even if it is a simple, common design. That band logo tattooed on two different people may mean two totally different things. Person One may have it because they simply love the band and their music helped get them through some terribly awful nights. Person Two may have the logo inked upon them because it was at said band’s concert that they met the love of their life. A simple etching of a monkey on a woman’s wrist may be because they love the tree-hugging animals, or it may have a deeper, more personalized meaning that you could never even have thought of. It used to be that you didn’t ask about someone’s tattoos, and generally, that was because most tattoos were hidden. It wasn’t that long ago that tattoos on the exposed skin were frowned upon. Only deplorable citizens would dare ink large portions of their skin. These were the type of people who didn’t care about whether their indelible ink would hinder their ability to get a decent paying job—as they were either dabbling in shady businesses or had a criminal record that would prohibit their ability to get a respectable job, anyway. 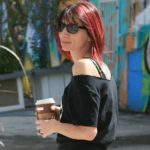 But as more and more businesses have started loosening the reins on tattoo acceptance policies in the workplace, and as television shows and movies have started bringing the industry right into our daily lives, having ink creeping onto exposed areas isn’t as big of a deal as it used to be. Sure, if you’re heavily inked you’re likely to have to deal with some rude comments, stares, or remarks here and there—but for the average person with just a few simple designs on their arm, there isn’t too much backlash these days. Personally, I have never looked at it in this way. I had previously always thought of my tattoos as mine—something that only mattered to me and didn’t affect anyone else. Of course, that altered slightly when I got involved with my now-other-half, who slings ink for a living. My tattoos are no longer just mine. They are ours—mine to wear, but his to create. They are products of his imagination; his hard work, effort, and passion. My tattoos have become more than just pieces of ink hidden below my clothing. They have become his portfolio and my obsession. In addition to my own personal fixation, my tattoos have begun to help pay the bills—they bring in clients, which in turn, brings in money. I can’t tell you how many people have seen images of my Medusa thigh tattoo online and have immediately booked an appointment. Now, this is not the norm. If it wasn’t for the position that I hold (a tattoo writer) and the position my hubby holds (a tattoo artist), it is unlikely that my tattoos would make as many public appearances as they do. So, in that case, they would only hold meaning to me and would not affect anyone around them. But, Sky’s statement really made me think. Is a tattoo really a ménage tois? He continues, stating that some tattoos are made to be hidden, whereas other tattoos are made to be public statements. But, as the point of his article makes, in today’s society—every tattoo is generally made available to the public through the use of social media. The artist will want to show their work off on their own social media accounts, using it as an addition to their portfolio, and in most cases, includes this in their contract that you sign at the beginning of the appointment. No longer are tattoos completely hidden from sight. Once a tattoo is posted online, particularly on Instagram in which hashtags make the image available to everyone, it is open to criticism. Random people are able to comment on the skill of the tattoo, the appearance, the placement. They can make assumptions about the meaning behind the tattoo, or snidely critique the color choices. And this is why so many artists will often make suggestions to your initial tattoo design. If your design has an incessant amount of small, fine lines and you want the image to fit into a certain size, the artist may propose removing some of the lines and simplifying the design. If your concept contains too many different shades of green and no additional color contrast, they may suggest adding purples to break it up and make the color pop a little better, so as not to look like a leprechaun blew up all over your Mad Hatter. The images that appear online—whether posted by the artist or the wearer—are the calling card of the artist. They represent the work that can be accomplished by the tattoo artist, the skill level they possess. They are the method in which clients often find their way to the artist’s door. When you look at it in this manner, Sky’s statement makes sense. While the client is obviously the most important person in the scenario, it is important for the other two people in the equation—the artist and the observer. The artist’s livelihood depends on the quality and likability of each and every tattoo they turn out. One bad tattoo can make its rounds pretty quickly and be excessively damaging to the artist’s reputation. On the same note, the design needs to be visually appealing to the observer. Each and every observer is a potential client and therefore, the tattoo needs to be attractive, interesting, and engaging. It needs to bring in attention while giving the client the meaning and significance they are looking for. When you stand back and look at the tattoo in this way, Sky has made a truthful point. A tattoo is indeed a three-way contract. 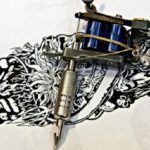 It affects the wearer of the tattoo in a deeply personal way, but it does also have implications for the artist as well as those who have the pleasure of gazing upon it.